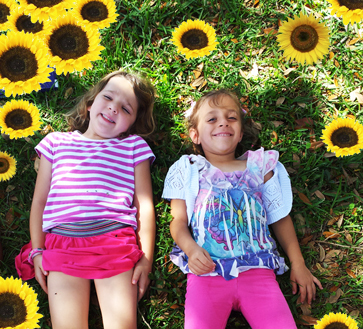 Since 1984 Sunflower’s mission is to create a safe, warm, loving, learning environment for young children. We believe that learning should be fun as well as productive. Our staff provides experiences that enrich and enhance each child’s life. We hope each graduate leaves us academically ready for kindergarten empowered with the words to solve their problems without use of physical aggression, a high self-esteem, respect for their environment and with fond memories of friends and teachers. 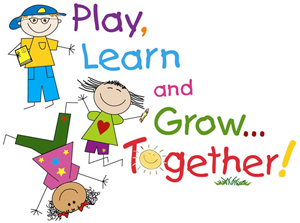 Sunflower Educare Center was accredited in 1999 by the National Association for the Education of Young Children. 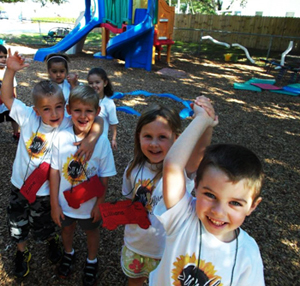 (NAEYC) Sunflower continually shows its quality by meeting the NAEYC Early Childhood Program Standards, which are based on the latest research in the area of education and development of young children. Our employees are closely screened, fingerprinted, and participate in training required by the Florida Department of Children and Families. In order for our center to maintain NAEYC accreditation standards our staff participates in 10-20 hours of additional training every year. We seek employees who value working as a team with parents, colleagues, and volunteers. Our staff is carefully selected to provide the best possible care and education for your child. 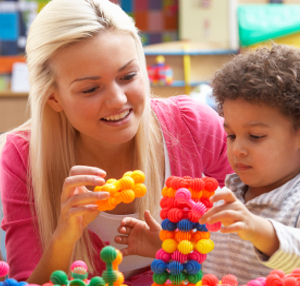 Our employees are warm and nurturing, understand child development and apply their knowledge in the classroom. At Sunflower children are respected as individuals. We tailor our educational program to meet their needs. 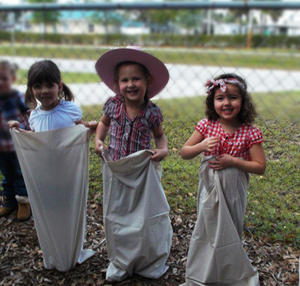 Our developmentally appropriate, hands-on curriculum helps each child reach their potential. We provide many opportunities for children to experience a variety of theme related activities that address cognitive, language, communication, social and emotional, physical and creative development. The center staff and families begin building a collaborative relationship early because we consider parents to be their child’s first teacher. Parent involvement is one of the most important aspects of a child’s early learning success. In order to promote success between school and home our site provides many parent involvement activities throughout the year. These social and educational events are held to encourage interactions between staff and families and between families and families. The Sunflower student body consists of a diverse and multicultural population. Celebrations and holidays are posted on our monthly activity calendar and on our parent information board.